This topic contains 13 replies, has 2 voices, and was last updated by admin 11 months ago. I recently purchased this license and want to make sure that I understand it correctly. I assume this means that I can use the license on an unlimited amount of websites for one unique form per website. I ask this because I’m able to active sites via the plugin but not forms. You have reached the limit of the forms that you can activate. With this activation code, you can register up to 9999999 sites and up to 1 form. Click here to deactivate this key. Correct. 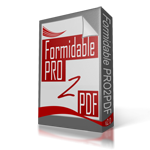 Additionally, the one unique Formidable Form can merge to any number of PDFs with an unlimited number of field map layouts. So we are only able to activate one form on one site right now. If we try to do so on other sites we get the error message. Our set up is that we have 15 sites, each one with a single form that writes to a PDF. What license do we need? Have have the correct version, if you are receiving and error we need to troubleshoot the issue. Complete this form if you are able to provide access to a site that is resulting in an error? If not, then use the link to send us a screenshot of the error message and the plugin’s “Activated Forms” tab, and we will try to start the process from there. What happens when you activate the site and a form? I’m able to activate a site but not a form. I have one form active on ones site but am prevented from doing so on the others. I’m just checking in here on this. This is creating quite a problem as we have multiple sites set up with this plugin and all forms are not working except one. Please provide specifics on what happens when you attempt to activate a form on another site. You can upload a screenshot here. You can also provide site credentials so we can quickly locate the issue. Please complete this form which authorizes us to gain access to the site, we will also need FTP access. i completed the form you asked for. please let me know when this issue is resolved. We are unable to determine the issue on your site without FTP access so will attempt to recreate the issue on our server. As a temporary work-around the forms count has been increased until we find the issue.